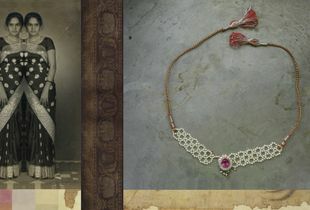 Priya Kambli was born in India. She moved to the United States at age 18 carrying her entire life in one suitcase that weighed about 20 lbs. 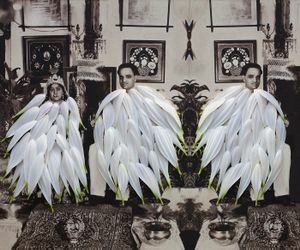 She began her artistic career in the States and her work has always been informed by this experience as a migrant. 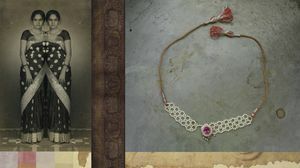 She completed her Bachelor of Fine Arts degree at the University of Louisiana in Lafayette and continued on to receive a Masters degree in Photography from the University of Houston. She is currently Professor of Art at Truman State University in Kirksville, Missouri. 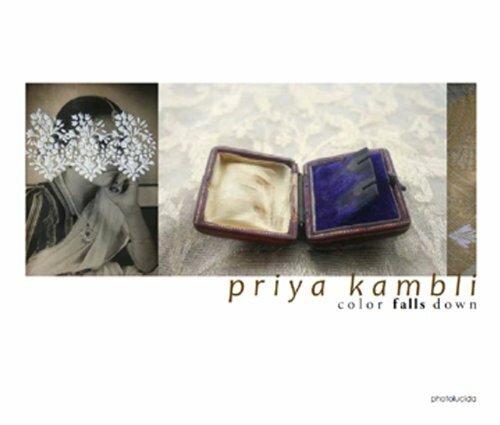 In 2008 PhotoLucida awarded her a book publication prize for her project Color Falls Down, published in 2010. 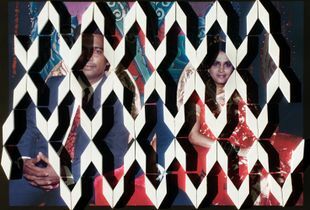 Priya Kambli’s artful combinations of vintage photos, contemporary photos, colors and textures visually express the notion of transience and split cultural identity caused by the act of migration — in this case from India to the US.